Welcome to Day #4 of Chocolate and Banana Theme Week. 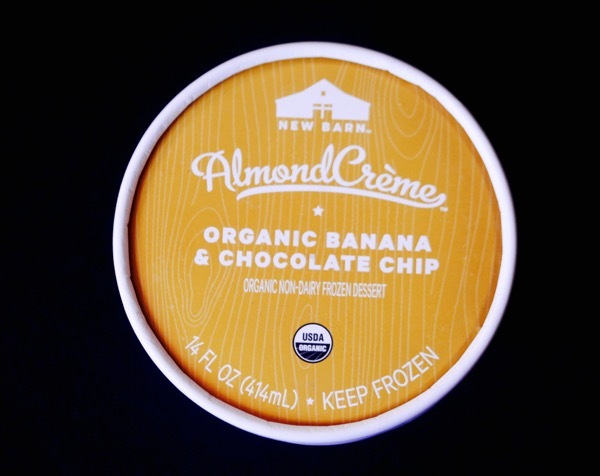 A few years ago, New Barn (Healdsburg, CA) introduced organic "Almondmilk," a non-dairy almond-based beverage, without all the flavorings, preservatives and carrageenan found in most other almond "milks." Sounds good. Most people where I live enjoy food items with a shorter, healthier ingredients list. But, did they have offerings with chocolate? 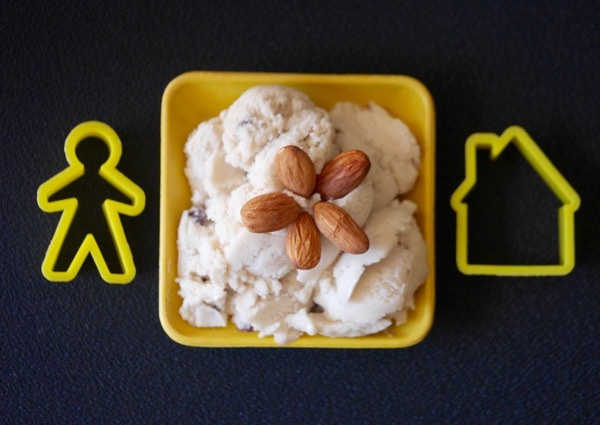 The company followed that up by introducing a line of AlmondCreme frozen desserts. 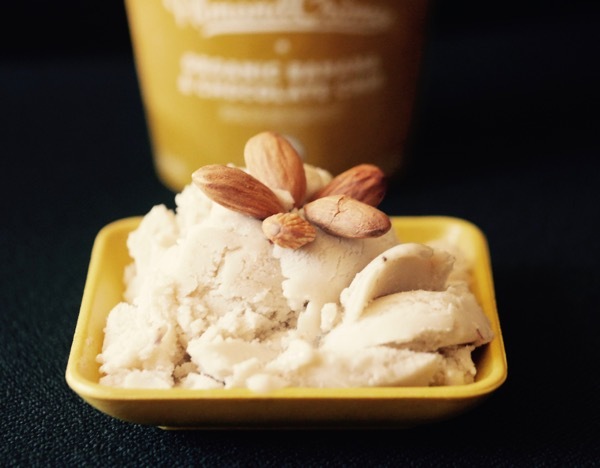 This non-dairy alternative to ice cream takes their Almondmilk story one step further. Today's frozen dessert had subtle natural banana flavor with tiny hints of chocolate. Garnish with a few nuts, and bon appetit. Or, use this AlmondCreme as a basis for cold smoothie drinks or shakes. One can amp up the creaminess and fruit flavor by throwing a scoop of this AlmondCreme in the blender with a real banana or two and a few nuts and cocoa nibs.